I’m taking a road trip down to Waco, Texas! Stopping at the Magnolia Silos, the Harp Design Co., and getting some kolaches for the drive. See what Waco and the Heart of Texas has to offer! My sister-in-law is in town with her kids this week for their spring break. 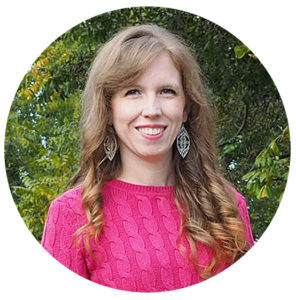 One of first things she planned was a trip to Waco. And what started out as sort of a girls outing ballooned into almost all of our families going along! Living in the Dallas/Fort Worth area a trip down 35 towards Austin and Waco is a frequent occurrence. But there is lots to do in Waco, and we are always finding new spots. Of course there are a few traditions that must be observed on this road trip, the biggest one being where we make one of our rest stops. 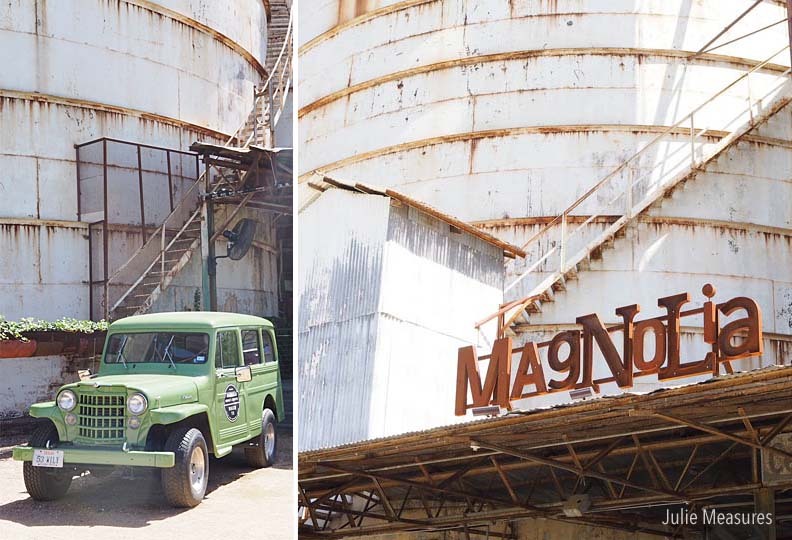 The main destination for this trip to Waco was to visit Magnolia Silos. I have to admit that even though I’ve been through and to Waco many times, this was my first trip to the Silos! 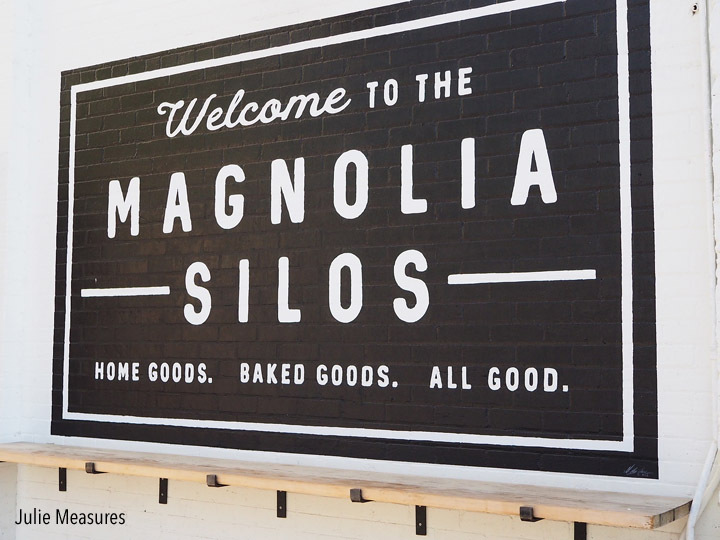 The Magnolia Silos are more than just a store. It’s an entire city block! There are several buildings, a large outdoor area, food trucks and so much more. 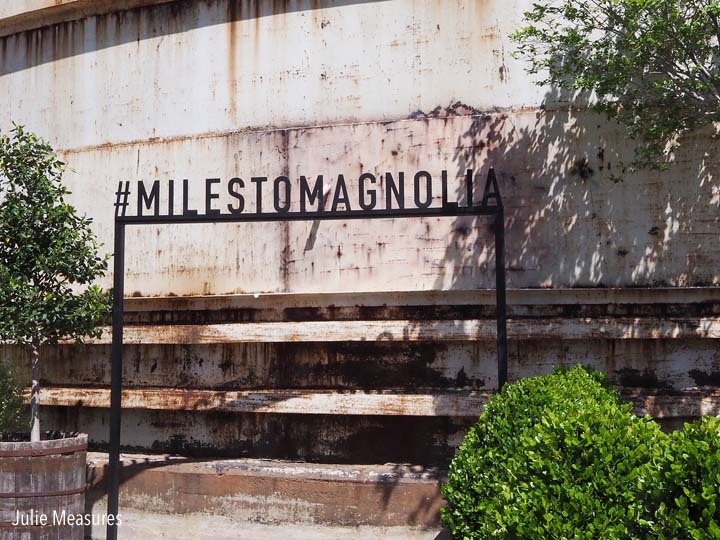 Let’s start with where to park at Magnolia Silos. While we found free street parking near the Silos, there is a free parking lot next to the store. You can also park for free downtown and take a 10 minute ride on the Silo District Trolley. Bring your camera, because there are TONS of great photo spots. 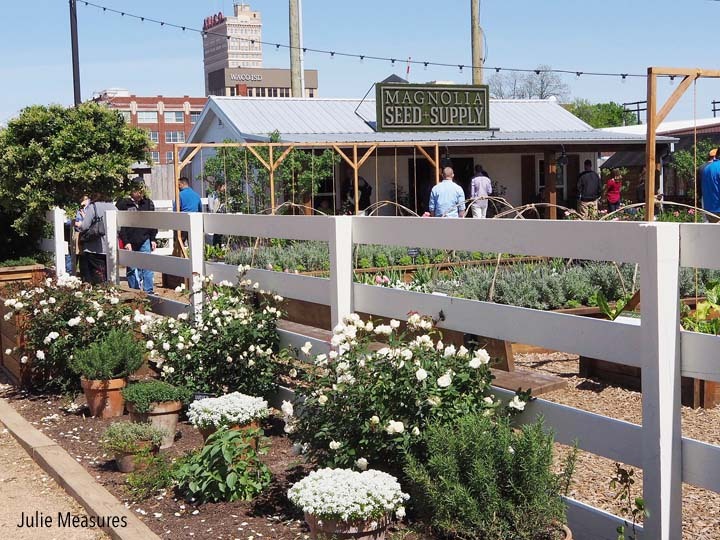 My favorite area might have been Magnolia Seed + Supply. It is a little hidden in the back corner, so make sure you don’t miss it. The kids will love play in the teepee, and you’ll want to grab a picture. The landscaping is amazing. The store, bakery, and garden area sit around the edge of the whole area and in the center are a large lawn and garden. The weather was perfect the day we were in Waco and we saw lots of families and couples taking photos all over. 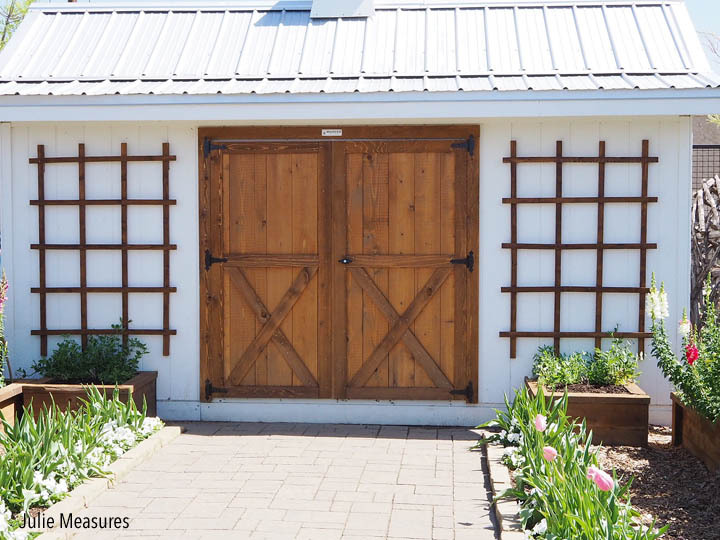 These wooden doors on the white shed were on of my favorite. But I also can’t resist a photo opp with a built in hashtag above my head! The sign says it all! 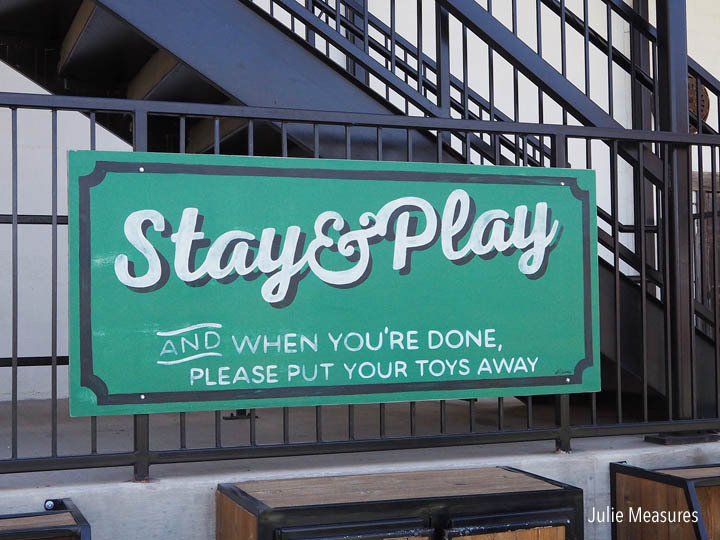 In those wooden boxes underneath the sign were oversized wooden blocks, dominoes, soccer balls, and other games to play on the lawn. The kids made a bee-line for the lawn area right after we arrived and were content to play there while the adults took turns shopping and watching. 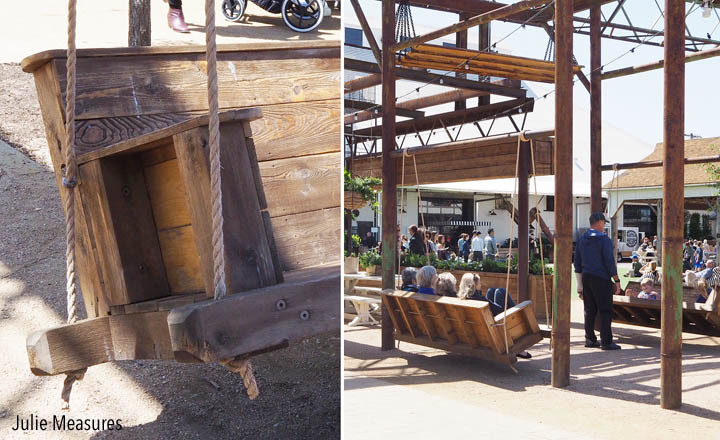 Also in the lawn area are these gorgeous wooden swings that can fit an entire family and wooden benches. The lawn had adorable striped bean bag chairs that many people were enjoying relaxing on with their sunglasses over their eyes. With several food trucks to choose from there is also a covered patio area where you can sit and eat. Burgers, tacos, popcorn, snow cones, crepes, the food trucks were serving almost every kind of food and dessert you could want. 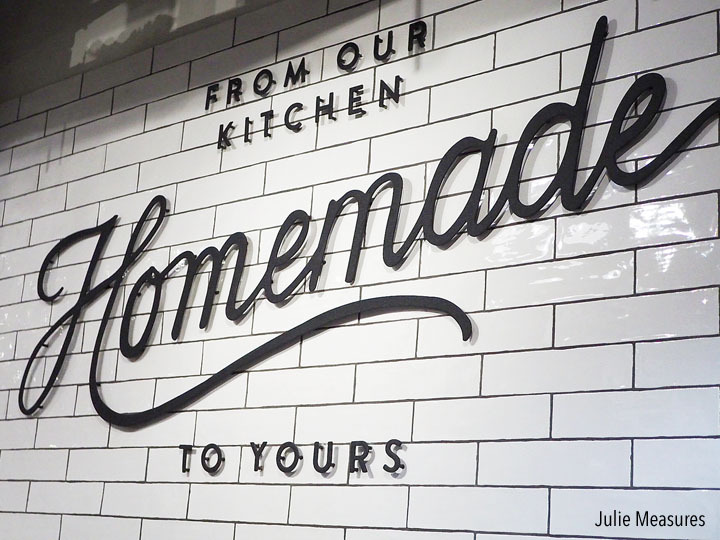 That’s not even mentioning Silos Baking Co! Tip: Skip the line to the indoor restrooms and walk right to the outdoor restrooms. You’ll find them well maintained and they offer a hand washing station. With everything else going on you don’t want to forget the shopping! 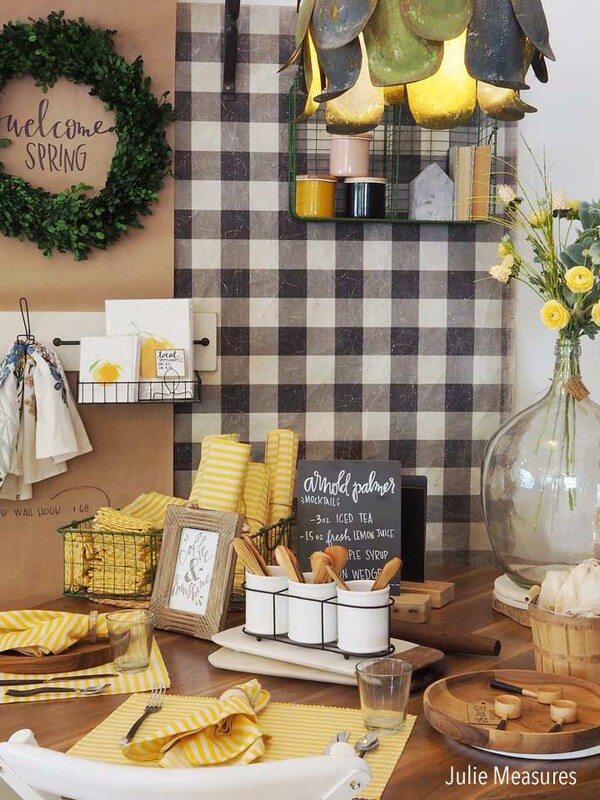 While you can get some of the items in the store online, the majority are actually only available at Magnolia Market. Just another reason to make the trip to Waco! 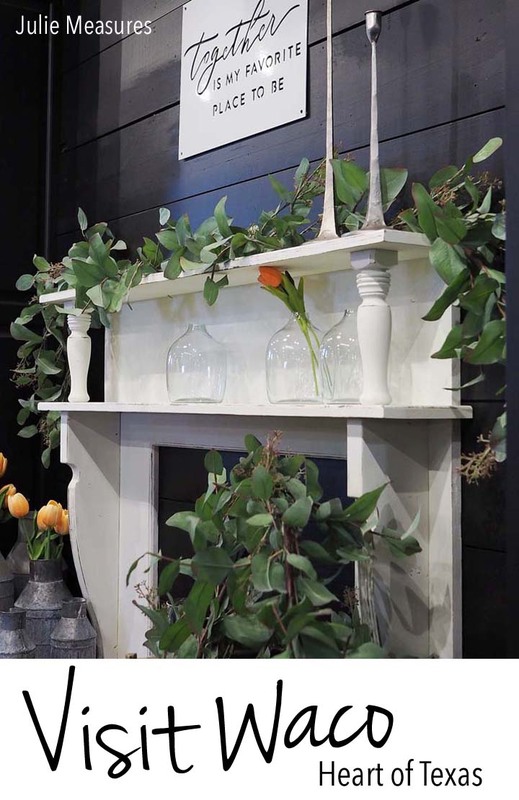 The store has two areas, upstairs and downstairs. 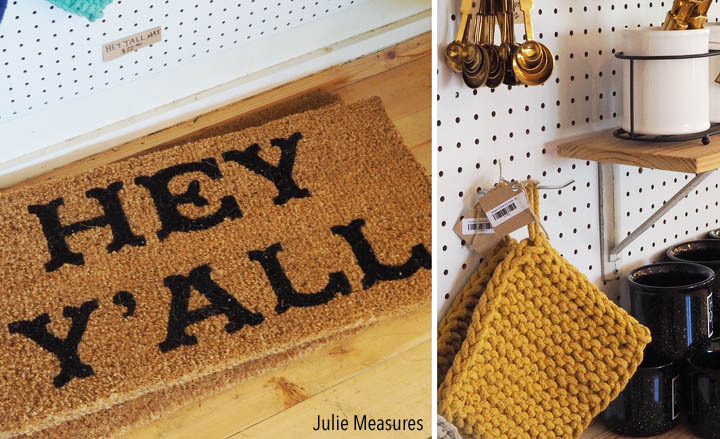 Upstairs you’ll find more of their home decor items, while downstairs were the lifestyle items like apparel and the large signs. 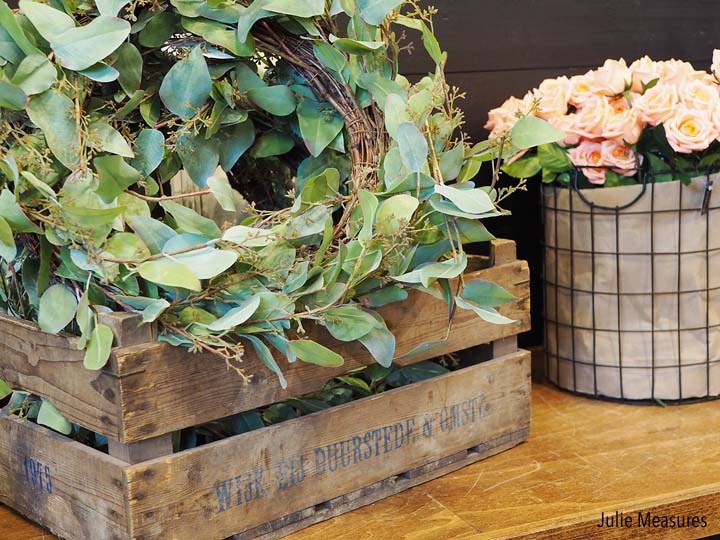 Get inspired by seeing the items used in unique ways, like this moss around the edge of a wooden crate. 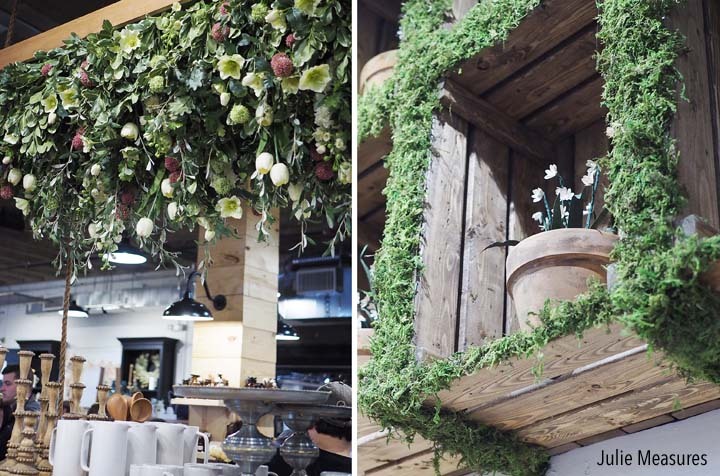 There were multiple crates grouped together in the wall used as shelving. Even mid-morning on a random Wednesday the store was busy. Not so busy that you would lose track of your shopping companions, but busy enough that we let Grandpa supervise the kids outside while some of the rest of us shopped. 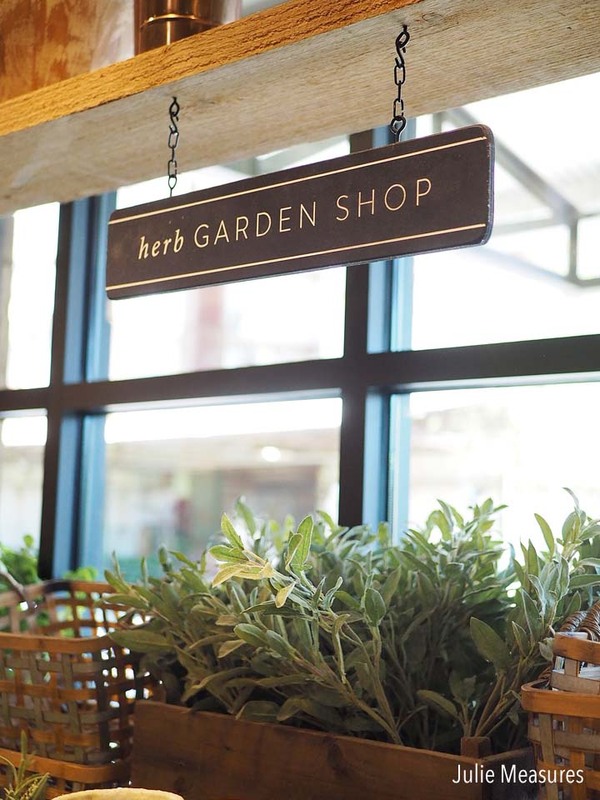 Tip: They recommend getting there right at opening or near closing to have the most relaxing shopping experience. It tends to be the busiest right around lunch time, and traffic is heaviest on Saturdays. 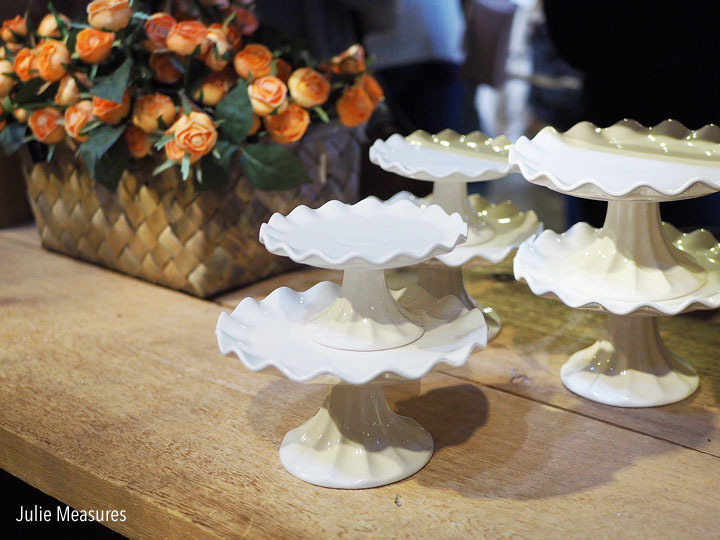 I don’t think I can ever have too many cake stands. I loved the fluted edges on these. 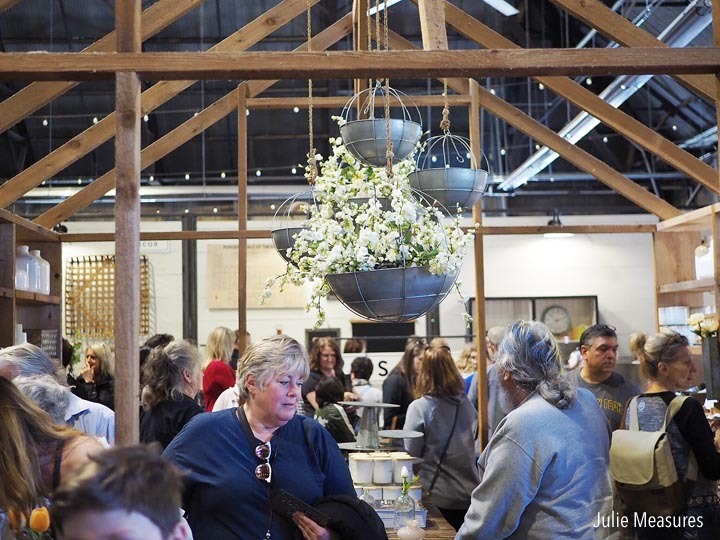 If you want to be inspired by home decor, The Silos shouldn’t be the only stop on your Waco itinerary. After shopping and playing at Magnolia we headed over to Harp Design Co to see their Waco store. Their store is a small curated store with limited parking. But the traffic did seem pretty steady in and out so we were able to park fairly easily. 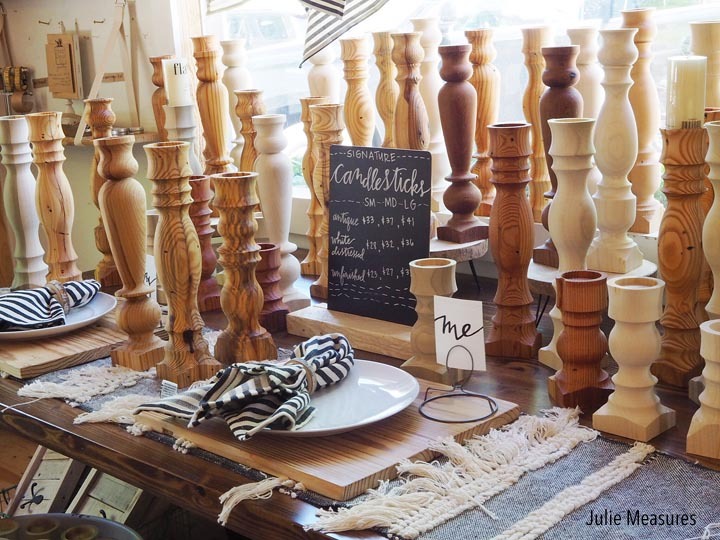 Lots of wooden goodies at this store from candlesticks to cutting boards and napkin rings. There was a map of the United States in French that I might need to get for my parents. That road trip tradition I mentioned? 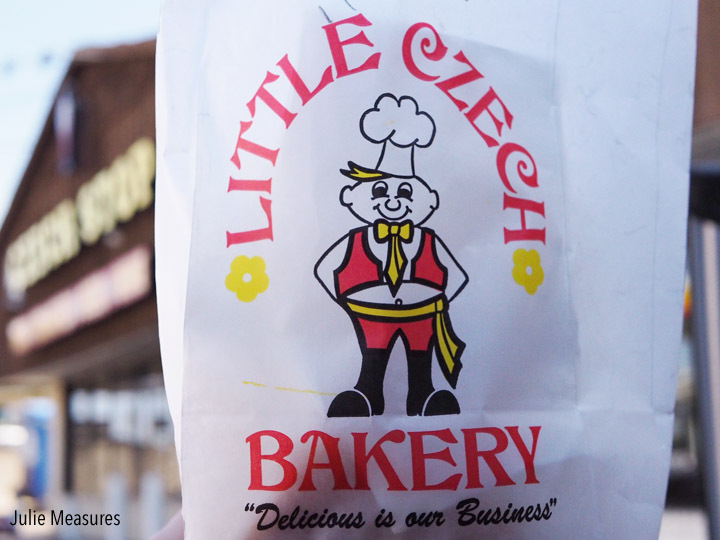 That would be a stopping at the Czech Stop for a kolache. This time I got a peach kolache, but really you can’t go wrong here. If you really want a treat get one with cream cheese on top. Another Waco destination that we have enjoyed recently is the Waco Mammoth National Monument. Another incredible family destination. We took the tour, enjoyed the kids area with an excavation station, and took the short half mile hiking trail recently completed by a local Boy Scout troop. Want more Texas travel inspiration? See how a trip to Lubbock taught me to appreciate peanuts!